A/N: Todays prompt was to write about where you lived when you were twelve. The twist was to pay attention to sentence length and try to vary them. My story “Always,” provides more information about the guardian angel in this piece as well. That story gives you a better idea of who the guardian angel is. I slammed the door behind me. I didn’t care who had heard it. Didn’t care if my neighbors would be giving me dirty looks when I passed them by tomorrow. I couldn’t hold it in any longer. My bag slipped off my shoulder and hit the ground, the content spilling out in a heap. My cat walked over and began to scratch around the surface, smelling the pages and trying to decide if he wanted to make any use of the items or not. For months now I had been holding myself together. It was like I had kept patching up the holes with duct tape but now they were combining into one another, creating huge holes that couldn’t be covered. No amount of tape or sewing was going to fix this problem. I slid down the wall and buried my head into my knees. Pain, confusion, anger, sorrow and hurt came pouring out along with tears and sobs. Each deep breath brought forth another emotion that I didn’t get time to fully process before the next wave came crashing down. It was becoming too much. My brain was fuzzing over and I couldn’t breathe. Just as I was desperately trying to decide between passing out and finding my phone to call from help I felt a gentle hand grip my fingers. I caught a sob in throat and instantly looked up. I looked left, right, to the ceiling and at the floor. There was no around me. I felt the touch, a strong yet gentle hand, but there was nothing physical that I could see. Anyone else would have been freaking out. Most would have assumed they had finally lost their minds Stress can do that to a person. Yes, my mind was exhausted and screaming for release but I knew this touch. It was a touch that I had felt once or twice before. It was his hand, my guardian angel’s hand. As my chest eased and my nerve ends loosened slightly I felt a calm begin to steal over me. The hand still gripped mine. I pictured my guardian angel sitting beside me, huge coke bottle glasses watching me. Eyes never leaving my face as I came down from my panic attack. In my head I could almost hear his whisper, “It’s okay. Deep breaths and happy thoughts.’ My eyes fell closed and my spent brain ran back in time. After flipping through a catalogue of happy memories I choose a simple summer day. I opened my eyes. I was twelve and standing inside the bedroom that had been mine for most of my life. Our house was nothing special. It was small, barely accommodating the five of us plus an eighty pound Akita, a cockatiel and a guinea pig. Shouts of laughters and reprimands coated the hallway walls like wallpaper. I could hear all the conversations we had as children, full of crazy stories and imaginary friends. Conversations that matured as we did. Going from school work to plans for our now adult lives. My parents always said and still say to this day that the house was too small and cramped. Not one surface wasn’t covered. Everything was falling apart and the place was just one big mess. As a child and even to this day I have never agreed. My eyes glaze over the mess of papers and piles of dog hair that live in the corners. Yes, the doors had holes where frustrated feet had kicked in the wood. In the back-room there were cracks in the walls and the wallpaper was peeling. The tiles floor of the kitchen always had footprints and the walls always had handprints. The basement was a half finished place full of darkness and dirty laundry. Each room was small and cramped. Finding a place to hide for privacy wasn’t a real option. Even your own room wasn’t safe, people always walking in with only a knock to announce their entrance. Silence or even quiet were words that had no place in our home. No matter the issues though, it never changed what the place was. It was home. A home where laughter, love and creativity reigned supreme. I stood, as my twelve year old self, in my room. This was the room I had moved into once my youngest brother no longer needed a crib. For most of my life this had been my room. Right now the walls were covered in NSYNC posters. The floor was covered in everything from clothes, papers to stuffed animals and shoes. If you walked without shoes you had to be careful not to step on pen caps or push pins. Books overflowed from the bookshelf, spilling into piles on the floor. Standing here I felt a welcome calm. This was my place. Over the years the band posters would come down to be replaced by pictures of friends and family. During my four years of college the room would become dark and lonely for most of the year. Until a year ago this had been where I went to cry, to study and to read. This is where I played school with my stuff animals and where I wrote my first stories. A year ago I had packed up every piece of paper and every last sock and had left behind nothing but tears and memories. It was my middle brothers room now, but standing here at twelve I remembered how much this place had meant to me. A knock sounded at the door. My mom opened it slowly, barely able to move it enough to talk to me because of the mess. “Dinner,” she told me. No comment on the disaster inside. By this age she knew it was a fruitless battle with me. I cleaned the place and two days later it looked like I had never touched it. Organization and neatness would never be attributes of mine. It only took a handful of steps to cross from my room across the hallway and into the kitchen. Our kitchen was unique in the neighborhood. Attached to the back was what we called the “back-room.” It was just an addition created to be a dining room, but it made this area the biggest part of the house. Tonight the kitchen held the aroma of hamburgers and french fries. These counter tops saw everything from birthday cakes, report cards with good and bad grades, to final notices from credit card companies. Here cakes were made and here cakes were dropped. Here metal spoons were turned into drumsticks and tupperware bowl were drums. The floor was skating rink in our socks or a dance floor while music blasted from the radio. This room saw laughter from crazy family dinners where more food was thrown then eaten. Tearful dinners and angry dinners with no words spoken also lived here as well. Dinner was enjoyable that night. I sat as my twelve year old self listening to my family joke and talk about random topics. Always being sure to include the imaginary friends into the conversation as well. After dinner it was everyone off onto their own. My middle brother and father headed out the backdoor and into the backyard, the dog at their heels. A swing set stood at the very back of the small backyard. It was hand-me down, with two red swings and a slide. There was just enough room to hit a ball and play a simple game of baseball. Which was exactly what my dad and brother did tonight. Each of them tried to use only half their power, afraid of hitting the ball over the fence. It was a good try but my brother failed. He hit it a bit too hard and watched it soar over the back fence. He groaned, ran to the back and gripped the wooden tops and threw himself over, my dad keeping a watchful eye. I turned away as the ball came soaring back over the top. I turned back towards the front of the house. A minute later I was in the living room. My mom was busy flipping through the channels looking for something she could watch but was also appropriate for me as well. She ended up on Nickelodeon. Just like the rest of the house this was also sort of a tight squeeze. Here the couch and arm chair took up all the wall space. You had just enough room to move between sitting places. The living room saw the opening of birthday and Christmas presents, bedtime stories and sleepovers. Here was where we played with our current dog, as well as a future puppy we would get after this one passed away. Just this year was where we also lost yet another beloved dog. It wasn’t a large space but it was big enough to build forts with pop up tents or to jump from couch to chair avoiding the lava ground. These chairs would be where I would get lost in world of Harry Potter. As each book was released I would become completely cut off from the world until dragged to dinner or when my dad stole my book to tease me. I only watched the television for a few moments before pulling a book out of the chair cushions. It was a companion book the Sabrina the Teenage Witch TV series. As I turned the pages I felt myself sinking into the words and the soft sofa cushions. My mom sitting on the couch and our dog settled at her feet began to fade. As the picture faded I began to surface from my memory. That house was not my parents dream home. It was small, and falling apart. But it held so many memories, whole lives worth. It wasn’t perfect and never would be. Something would always be cracked or in danger of falling apart on top of you. But for me it would always be my home, my safe haven, the keeper of so many of my memories. I had lived there for nearly 24 years of my life. I was born there and grew up there. That house was my life. Remembering those rooms with its sights and sounds began to bring my frazzled mind back into focus. I opened my eyes. I noticed that the gentle hand was gone. Yes, things were all twisted and tangled up in a ball right now. I had no idea what was going to happen. But as long as I remembered where I had started I could figure out where I was going. 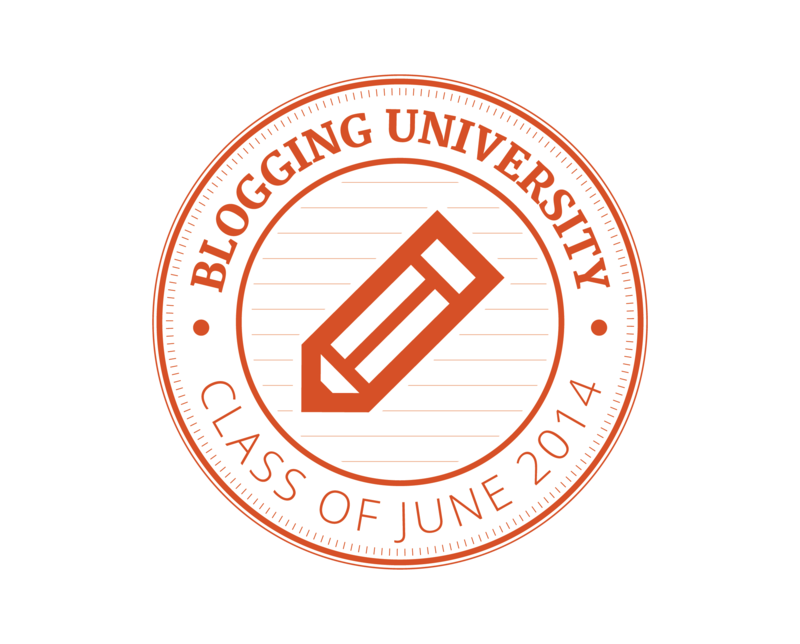 Posted on June 16, 2014, in Blogging University- Writing 101- June 2014, Short stories and tagged home, life, love, memories, short story, writing 101. Bookmark the permalink. Leave a comment.